1.04 Dinner or is it Dining? 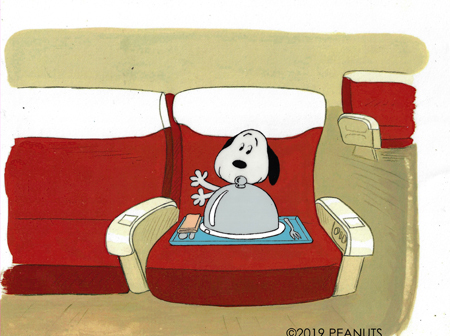 Snoopy moves to first class, of course! Scene 104a. Original production cel set-up with matching animator's drawing.